My Tidy Kitchen – Live. Simple. Good. If you’ve read my earlier posts you know I’ve slacked off in keeping you updated about my de-cluttering. I did stick with the process though and have been enjoying the “less is more” look and feel. One of my favorite improvements is my kitchen. I love neat little baskets and containers and had a nice miscellaneous collection in the garage – with no purpose – until now. 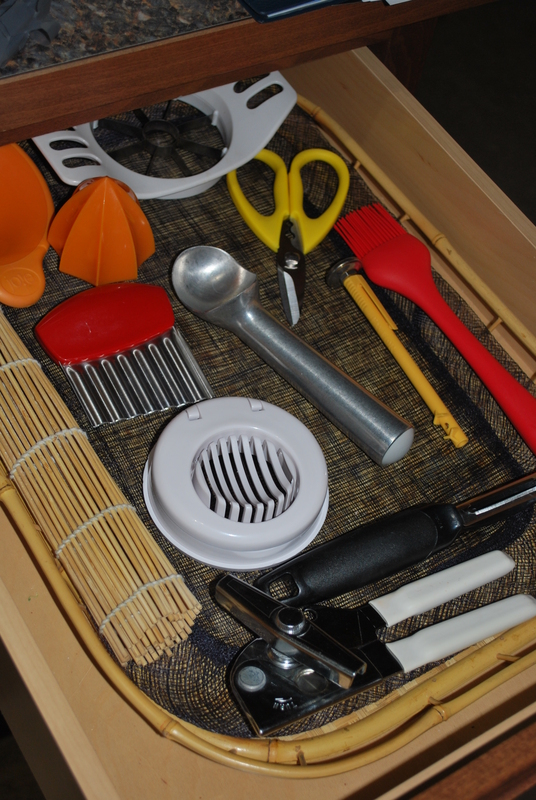 My first improvement was finding a better place for the knives – making sure they were out of reach from little hands. 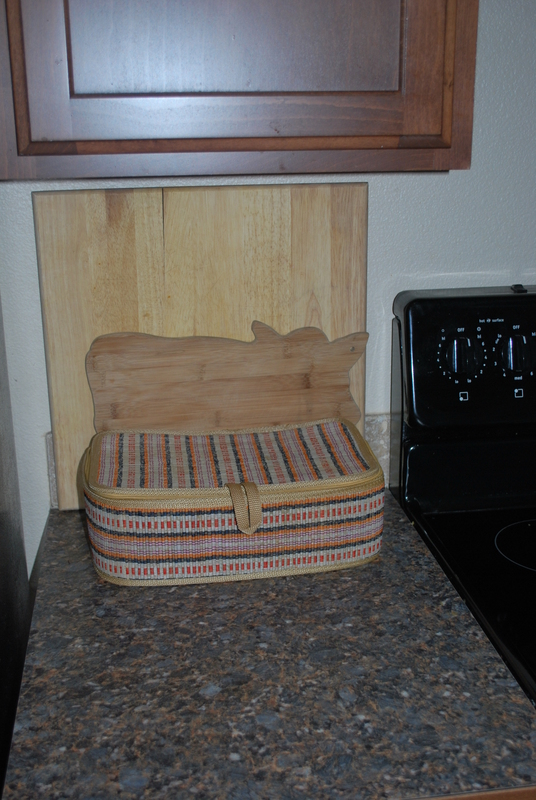 This zippered basket was the perfect place to store them in – with the cutting boards stacked neatly behind (I actually got rid of 3 cutting boards too). I am even surviving, happily, without a microwave! A person can actually live without one, can you believe it? 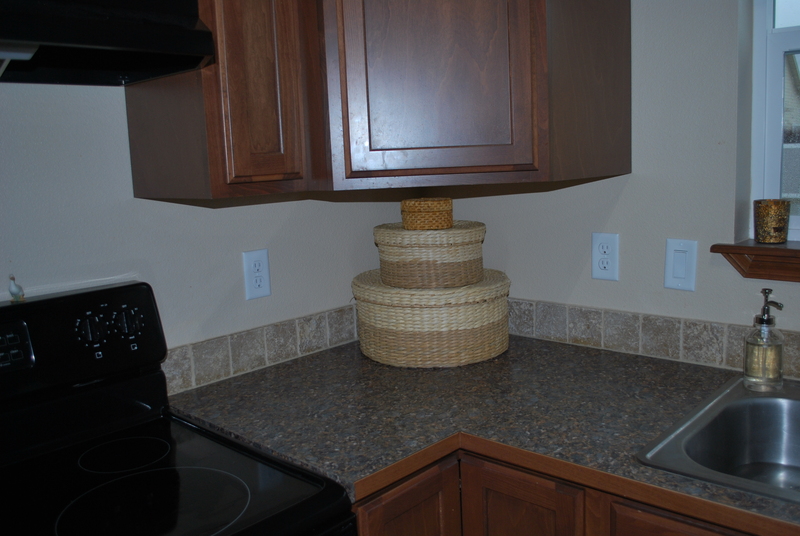 This is the glorious place my microwave used to be – my huge microwave to be exact – it took up all my counter space. In its place I used three stackable baskets with lids. They contain kitchen towels and oven mitts, bibs and face rags, and coasters. My goal is for everything to have a place – not cluttered and haphazard – but its very own simple spot. With this in mind I knew the junk drawer needed to go since it’s just a collection of homeless papers, pens, buttons, batteries, paper clips, etc. 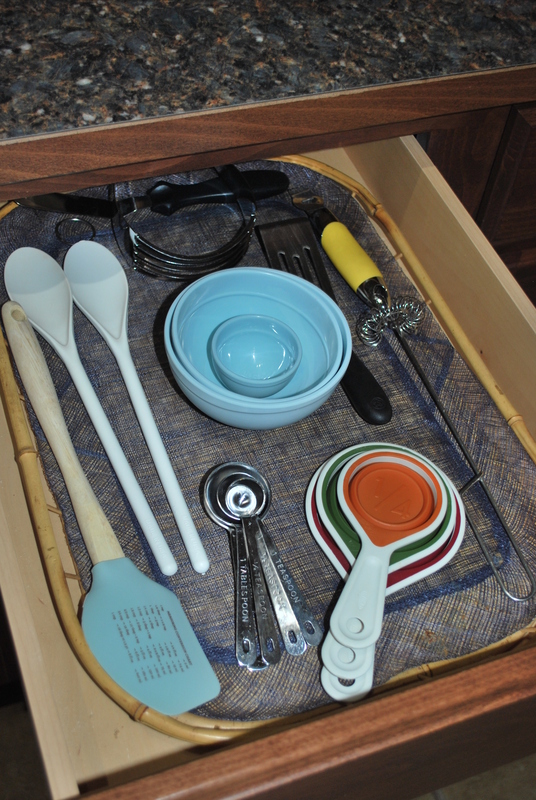 Now with an extra drawer I needed to figure out how to best organize them so my utensils didn’t slide around. Everything has a home now. My kitchen has gone from chaotic to simple – it’s tidy!